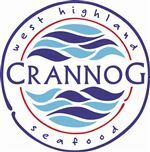 Situated in the heart of Fort William, Crannog is a seafood restaurant in a quiet loch-side location on the Town Pier. 1. Ensure customers have a fully enjoyable experience when dining at Crannog. 2. Ensure restaurant is clean, tidy and ready for service. 3. Take food and drink orders. 4. Assist customers in choosing food, wine and drinks. 5. Comply with all health & safety procedures. 1. Lead a team on Front of House Service. 3. Contribute to creating rotas and provide timesheet information. 4. Contribute to Banking and Security activities.